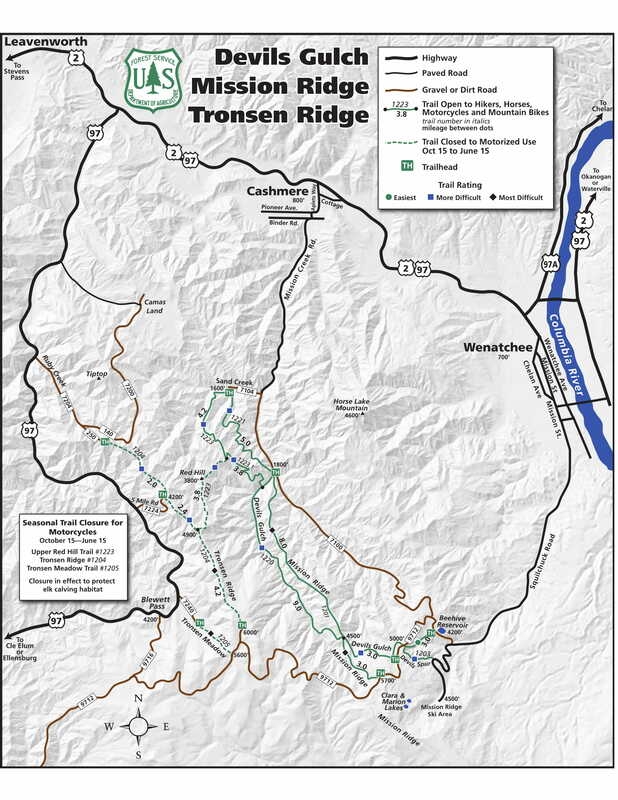 This trail with moderate grades passes through large old growth pine and offers several vistas of Sand Creek and Mission Creek. It makes a nice early season trip and can be combined with the Red Hill Trail to form a 14 mile loop. From Cashmere, WA take the Mission Creek Road south to the edge of pavement. Turn right onto Sand Creek Road #7104 for one mile. The trail begins at the Red Hill Trailhead located on Sand Creek Road #7104. The trail ends at the Devils Gulch ORV Trail #1220.